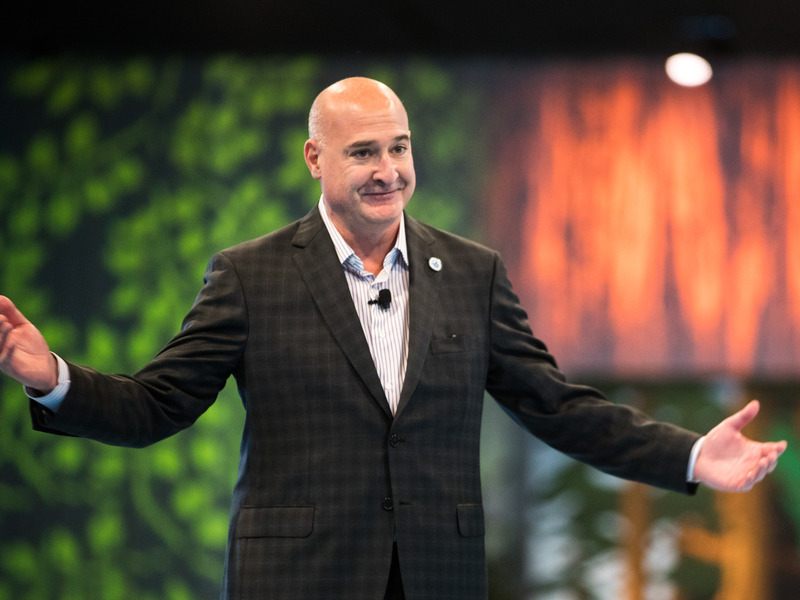 Salesforce co-CEO Keith Block was awarded a $211,703 car and an $86,423 watch, the company said in a proxy statement released on Thursday. According to the filing, these were awarded to Block at some point in its 2019 fiscal year, “in recognition of Mr. Block’s leadership achievements.” Salesforce also spent $179,977 on taxes related to the car and $38,005 on taxes related to the watch, in what it says is a one-time bonus. The filing said that Salesforce’s Compensation Committee only reserves these types of awards for unique situations. “In this case, the Committee approved this award because it believed that recognizing Mr. Block’s leadership and success in achieving Company goals was warranted, and that doing so in a memorable and visible way would be motivational not only for the executive, but for other employees who observe exceptional performance being rewarded in exceptional ways consistent with the Company’s philosophy of paying for performance,” the filing said. To that point, Block is widely credited with accelerating Salesforce’s rapid growth rate: In Salesforce’s 2014 fiscal year, when Block left Oracle and first joined up, the company booked $4.1 billion in annual revenue. In its most recent full fiscal year, ended January 2019, that had more than quadrupled all the way to $13.28 billion. Block served as Salesforce’s chief operating officer until last summer, when cofounder Marc Benioff officially promoted him to be his co-CEO. While the filing doesn’t say for sure, it seems likely that these gifts were made in honor of Block’s ascension to the very highest ranks of management. It is also unknown what kind of car and watch Block received. Possibilities include a Porsche Panamera Turbo S E- Hybrid Sport Turismo or a Land Rover Defender 90, which both are priced around $211,000. Business Insider has reached out to Salesforce for comment. In addition, Salesforce spent $1,230,424 on security arrangements for Salesforce co-CEO Marc Benioff while at work or on business travel. That’s notable, because it represents a departure from its 2018 fiscal year, when the company spent nothing on his personal security. “We view these security services as a necessary and appropriate business expense, but have reported incremental costs to us of the arrangements because they may be viewed as conveying a personal benefit to him,” the filing says. All this on top of the two executives’ base salary, bonuses, and equity awards. Block made $16,961,156 in total compensation in the 2019 fiscal year, according to the filing. That includes his $1,342,500 base salary, the $298,126 total value of the car and watch, various equity awards, and all of his other compensation, including the taxes related to those two gifts. His co-CEO Benioff made $28,391,846 over the same period, including his $1,550,000 base salary, the cost of his security, and all other equity awards and compensation.